Nothing explicit but could still be triggering. I suffer from suicidal ideation (SI for the rest of the post). Almost every day, I think about the action of taking my life to relieve the pain of living. It is not about wanting to not live; it is about not wanting the emotional pain to continue and believing that physical death is my only way out. Over the past few weeks, I have, for many different reasons, fell prey to physical fatigue. Between moving with a week’s notice, going on a long trip, and working, I became corporeally exhausted (I can use a thesaurus!). I fell into a depression due to this extreme fatigue and it’s accompanying stress. I was unable to pay bills, keep track of important dates, or go through day without a nap. I was tapped out both physically and mentally. Now, allow me to educate you for a moment. Suffering from SI IS NOT the same as suffering from suicidal intent; I do not INTEND, have not determined, concluded, or decided to put my plan into action. Please, do not call 911 because they will simply wake up a then-cranky redhead who was (hopefully) sleeping peacefully. What I want to share is that thousands, perhaps millions of people suffer from SI, and you would have no way to tell. I know that at the AFSP Suicide Prevention Forum in Washington, my own husband had no idea how much I was suffering. The issue is that SI does bring a person one step closer to a consequence that cannot be undone. Each time a person reviews all the details of their plan or simply thinks to themselves, “If only I could die, all this pain would end,” they tread closer to a decision that will ultimately break many people’s hearts. Parent’s are left wondering what clue they missed; siblings are left with the guilt of not perhaps voicing an opinion that “something seemed wrong”, and children ask where Mom or Dad is. The village, the community, the world loses the chance to see the beauty of live unfold as it was meant to do. I will not go into detail about my plan for obvious reasons. I will share that due to the emotional pain of perceiving (due to BPD) being lonely, invalidated, unessential to peoples’ lives, and having little active support, I lived today with a picture show in my head…a show that relieved stress and caused pain all at once. Be blessed and ask for help. It is the hardest thing you can do but the biggest step you can take on your path to recovery. Please call 800-273-TALK (8255), 24/7 if you feel you are in a crisis, whether or not you are thinking about killing yourself, please call the Lifeline. People have called us for help with substance abuse, economic worries, relationship and family problems, sexual orientation, illness, getting over abuse, depression, mental and physical illness, and even loneliness. When you dial you are calling the crisis center in the Lifeline network closest to your location. 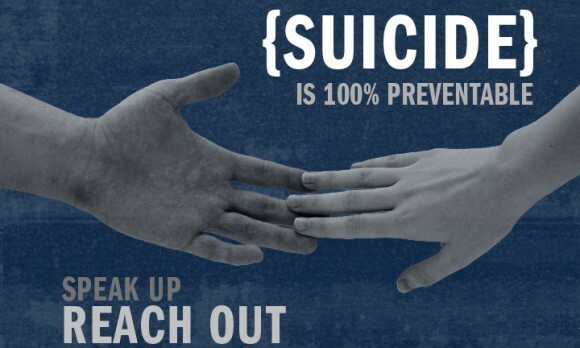 After you call, you will hear a message saying you have reached the National Suicide Prevention Lifeline. You will hear hold music while your call is being routed. You will be helped by a skilled, trained crisis worker who will listen to your problems and will tell you about mental health services in your area. Your call is confidential and free. This entry was tagged Bipolar, borderline personality disorder, Defeat, depression, feeling alone, mental health, mental illness, Sucidal Ideation, Suicide, support system. Bookmark the permalink.